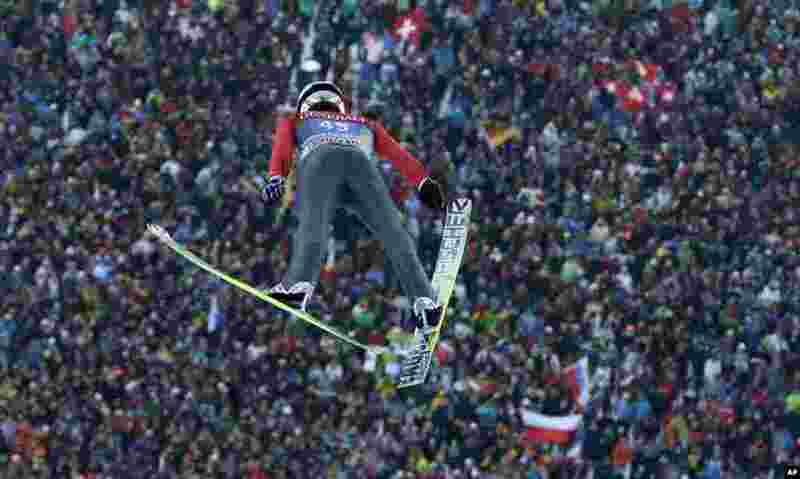 ١ Switzerland's Simon Ammann soars during his first jump at the second stage of the four hills ski jumping tournament in Garmisch-Partenkirchen, Germany. 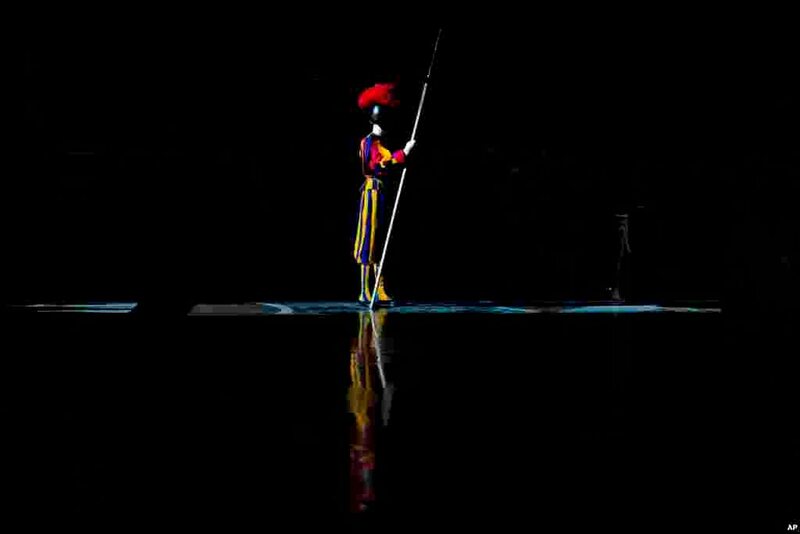 ٢ A Swiss guard stands as he attends a New Year Mass celebrated by Pope Francis in St. Peter's Basilica at the Vatican. 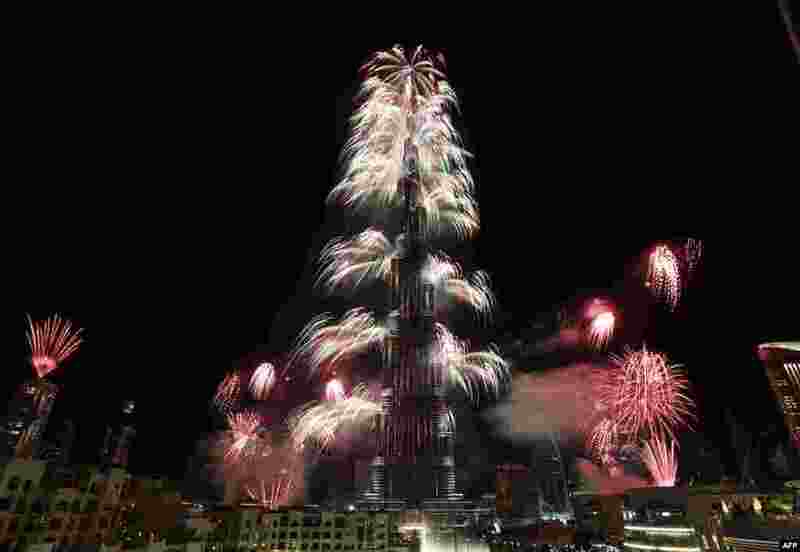 ٣ Fireworks explode from the Burj Khalifa, the world's tallest tower, in Dubai to celebrate the New Year. 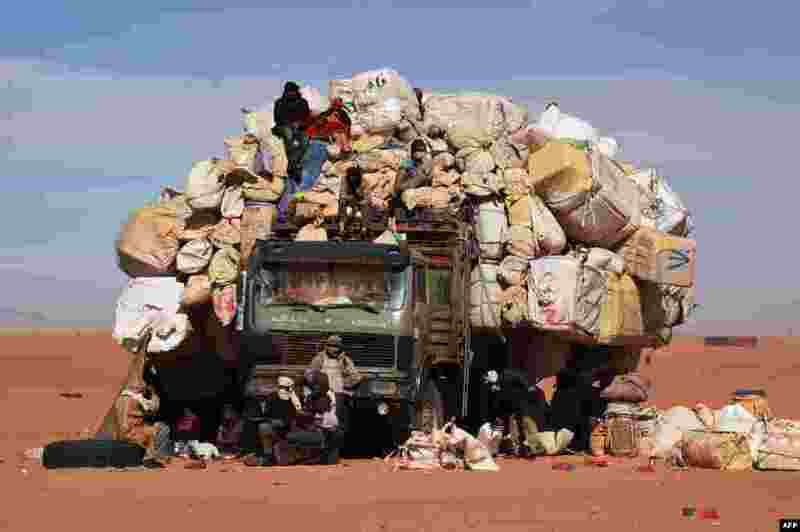 ٤ People sit on a overloaded truck in Madama, Niger, near the border with Lybia.